IT’S NOT TOO LATE TO ATTEND THE SUMMER MEETING (BUT HURRY). Leaders in the metal construction industry are coming together June 19-20 in Rosemont, IL. 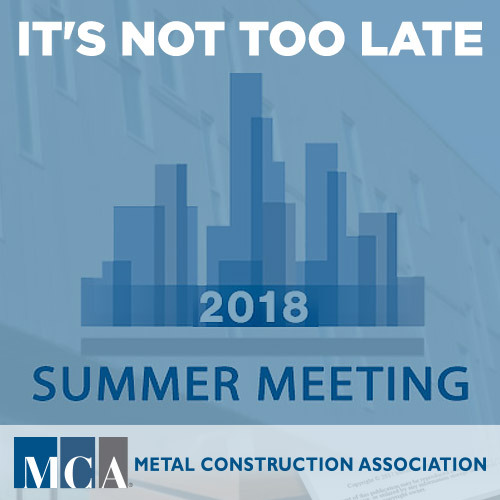 MCA’s councils and committees will reconvene to continue work on important topics, which will directly affect the future of metal construction. The Summer Meeting is an excellent venue to collaborate and learn about the challenges and innovations in the metal construction industry.